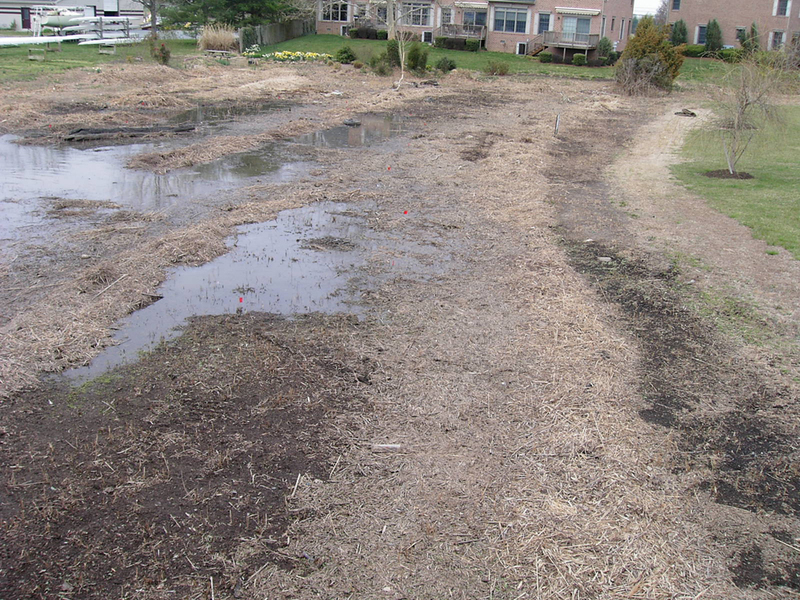 The Chestertown Garden Club sought to do something about the continued degradation of a tidal marsh in Chestertown’s Wilmer Park which had become invaded by Common Reed (Phragmites australis). 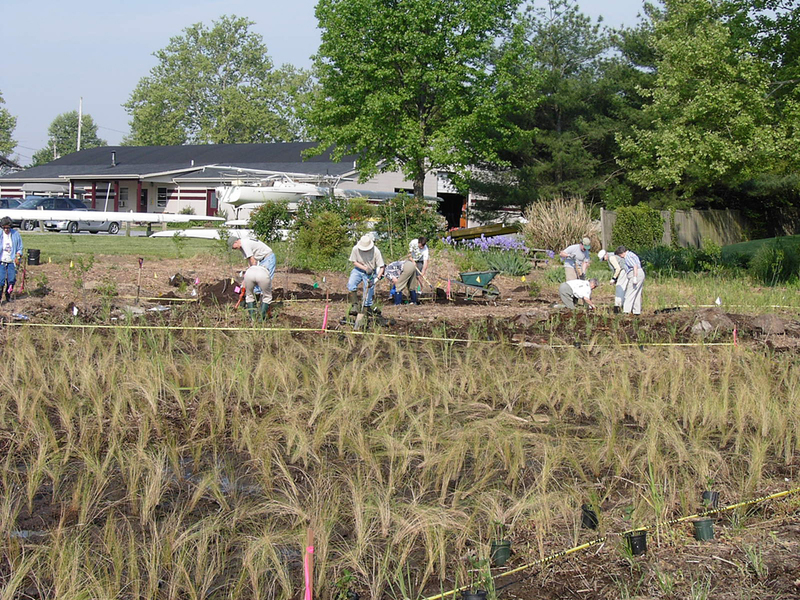 Unsure where to start, the Garden Club approached South Fork Studio in October 2003 to ask for donated time to assist with the project. 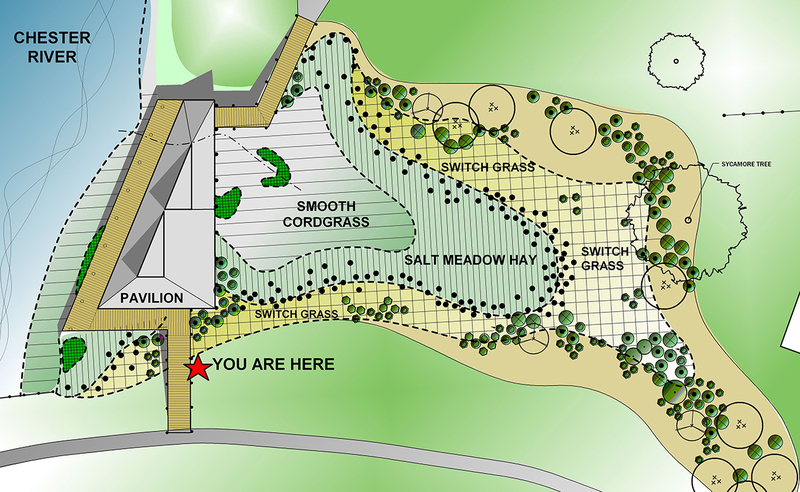 We agreed to take on the project and prepared full construction documents for the new planting plan as well as interpretive signage for the project. 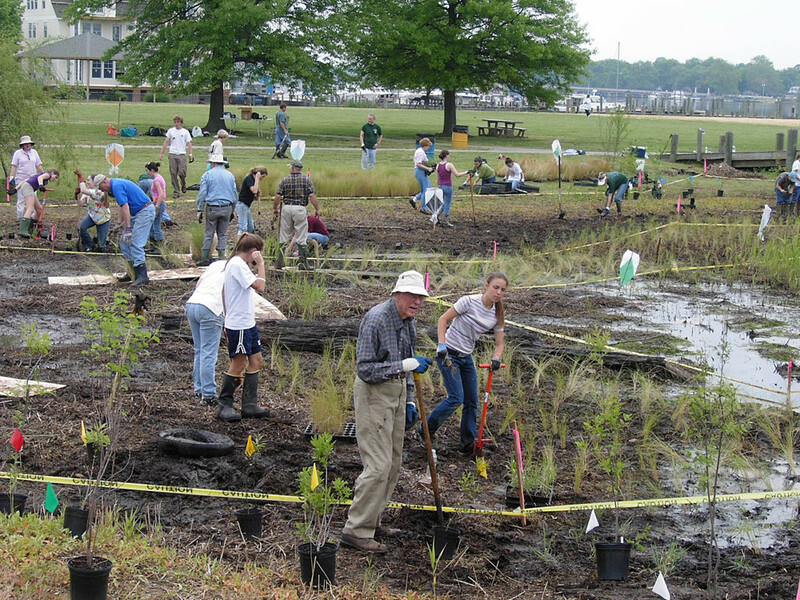 We also helped complete an application for grant funding from the Chesapeake Bay Trust, to assist with the purchase of plant material and interpretive signage. 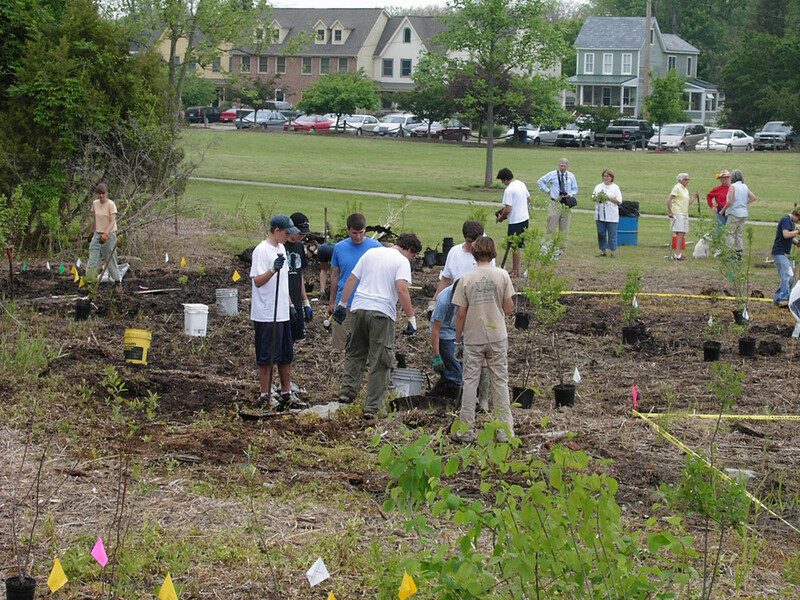 In May 2004 The Chesapeake Bay Trust awarded a grant for $18,000 to build the project, and in May 2006 the plants were installed using only volunteer labor. 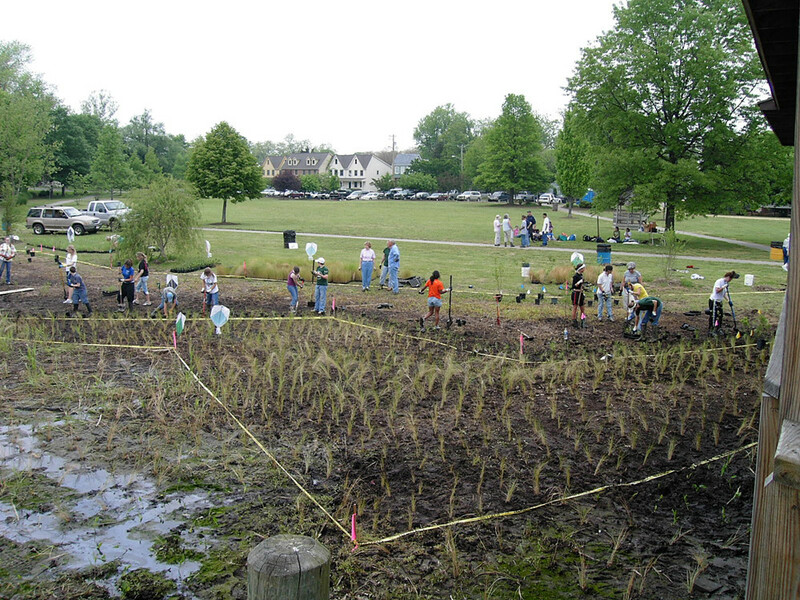 The project continues to be monitored and gains interest from the community.